All kidding aside, the indigenous Peruvian people do worship the “apu” or deity in the many mountain peaks of the Andes. 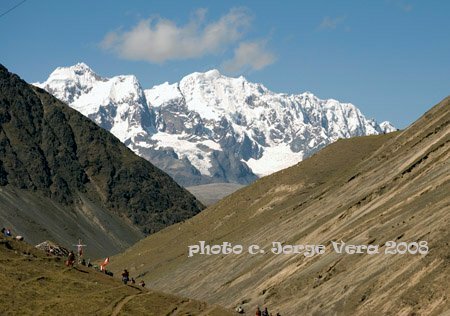 “Nevado Ausangate” or “Apu Ausangate” is a magnificent mountain peak in the Southern Andes of Peru. It is the site of the annual Señor de Qoyllur Rit’i pilgrimage which has origins in Andean culture long before Christianity. This entry was tagged apu, ausangate, culture, mountain, Peru, Qoyllur Rit’i, sacred. Bookmark the permalink.